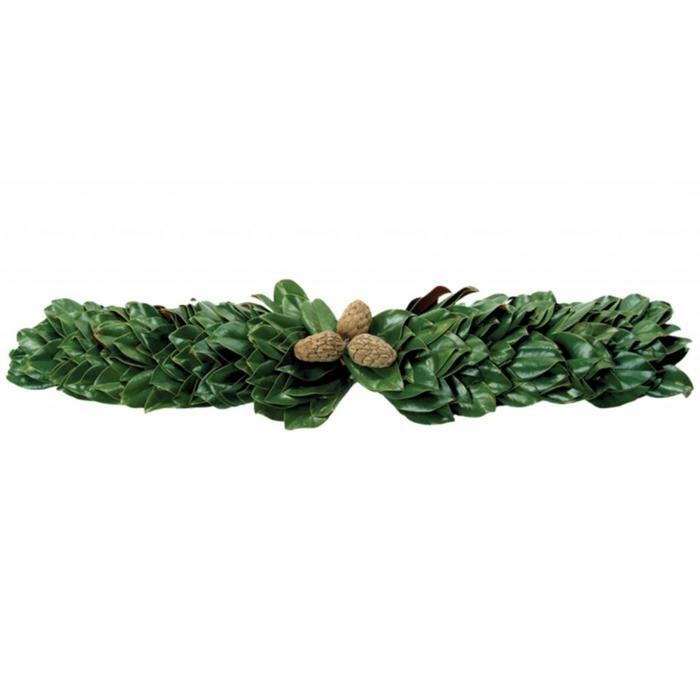 The Magnolia Company All Green Magnolia Mantel 48"
Home / All Green Magnolia Mantel 48"
Fresh cut off their family farm and handmade leaf by leaf to reveal the glossy green sides of beautiful magnolia leaves. A best-seller every year. Works well as a centerpiece or mantelpiece. Fresh cut off the family farm and handmade leaf by leaf to reveal the glossy green sides of beautiful magnolia leaves. A best-seller every year. Works well as a centerpiece or mantelpiece.